In a minute, a quiet church service at a suburban Milwaukee hotel turned into bloodbath. Terry Ratzmann, a buttoned-down churchgoer known for sharing his homegrown vegetables with his neighbors, walked into the room and coolly fired 22 rounds from a 9mm handgun, going up and down the rows. One of Ratzmann's friends begged him to stop, calling him by name and saying "Stop, stop, why? ", Police Capt. Phil Horter said. Chandra Frazier dove under a chair. The man sitting in it died. "I just remember crawling on the carpet and just praying, screaming out and praying," Frazier said in a broadcast interview on Sunday. Before it was over, seven people, including the church's minister and his teenage son, were killed and four others wounded. Ratzmann then took his own life, police said. Although he left no suicide note and gave no explanation for the killings, investigators said Ratzmann was on the verge of losing his job and was upset over a sermon he heard two weeks ago. Neighbors said he suffered from depression and had a drinking problem. It was unclear what specifically upset him, but Ratzmann was a member of the Living Church of God, a denomination whose leader recently prophesied that end times are near. Fifty to 60 people were at Saturday's weekly meeting, and anyone in Ratzmann's path appeared to be a target. He even dropped a magazine and reloaded another. The church's minister, Randy L. Gregory, 50, and his son, James Gregory, 17, of Gurnee, Ill., died, along with Harold Diekmeier, 74, of Delafield; Richard Reeves, 58, of Cudahy; Bart Oliver, 15, of Waukesha; Gloria Critari, 55, of Cudahy; and a 44-year-old man from Hartford, according to published reports. Marjean Gregory, 52, was hospitalized in critical condition, a family friend said, and a 20-year-old woman, a 20-year-old man and the 10-year-old girl also were hospitalized. The church group was 20 or 30 minutes into Saturday's service when the shots rang out. Ratzmann regularly attended the gatherings at the Sheraton each Saturday — the church group did not have a building of its own. But Frazier said Ratzmann walked out of a recent sermon "sort of in a huff." "Something that the minister said he was upset about. I'm not quite sure what exactly," she said. During the shooting rampage, Ratzmann told the friend who approached him that he was upset, said Waukesha County District Attorney Paul Bucher, although he was unsure over what. He was not known to have threatened anyone and had no criminal record, police said. They seized three computers, a .22-caliber rifle and a box of bullets from the modest two-story home Ratzmann shared with his mother and adult sister. Neighbors said Ratzmann built his own greenhouse, kept a well-tended garden and even used humane traps to free squirrels that got in the yard. "He wasn't a dark guy. He was average Joe," said Shane Colwell, a neighbor who knew Ratzmann for about a decade. "It's not like he ever pushed his beliefs on anyone else." But another neighbor called Ratzmann a drinker, and church members said he struggled with depression for years. "Terry suffered from depression, on and off. When he was really depressed he didn't talk to people. Sometimes it was worse than others," said Kathleen Wollin, 66, who was sitting at the front of the room during Saturday's service. The district attorney said Ratzmann was on the verge of losing his job with a Waukesha County firm, but he would not name it or say what it did. Colwell said Ratzmann told him he was a computer technician. The neighbor said Ratzmann was so devout about attending church that he skipped Colwell's wedding because it was on a Saturday. The Living Church of God, based in Charlotte, N.C., places a strong emphasis on using world events to prove the end of the world is near. Earlier this year, the group's leader, Dr. Roderick C. Meredith, wrote that events prophesied in the Bible are "beginning to occur with increasing frequency." "We are not talking about decades in the future. We are talking about Bible prophecies that will intensify within the next five to 15 years of your life," he wrote in the church's magazine, Tomorrow's World. The church branch that met in Brookfield was started by Randy Gregory, who moved his family from Texas to Gurnee, Ill., five years ago, said next-door neighbor Toni D'Amore, 47. 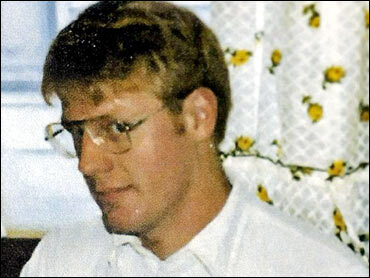 Gregory and his 17-year-old son, James, were among the victims. "Their children were probably, I'd have to say, were probably some of the nicest and most respectable young men I've ever met," she said. She said James excelled in school. "He just had potential coming out of every pore of his body. You know, the world's lost something there." Don Free said his niece, Angel Varichak, was one of the wounded, but she was expected to survive. "I wanted to know where God was when this happened," Free told the Chicago Sun-Times. "He was supposed to be everywhere. He could have at least been there."